“Emmanuel José graduated with a degree in Studio Art from DavidsonCollege, where he created drawings, prints and paintings. During his undergraduate years, he was introduced to the technique of papercutting. In 2011, a longtime fascination with playing cards prompted Emmanuel to set up a personal challenge: Create 1 playing card a week, culminating in a complete deck of transformation playing cards***. 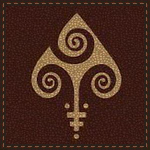 Using papercutting techniques, Emmanuel follows a centuries-old tradition of transforming the suits and pips of a standard deck of playing cards. 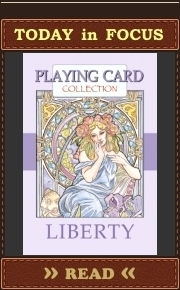 This set of decks is designed by Randy Butterfield (Midnight Cards). 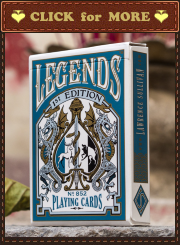 It’s produced by Midnight Cards in cooperation with the House of Playing Cards (HOPC). The decks printed by USPCC. They were sold on HOPC.